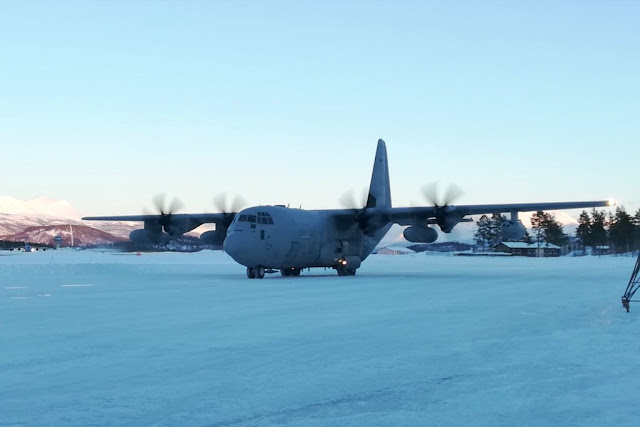 Italian C-130J trains on frozen runways. Italian C-130J crews belonging to the 46th Air Brigade in Pisa, Tuscany, conducted a training activity on frozen runways in Bardufoss, Norway, from 17 to 19 March. 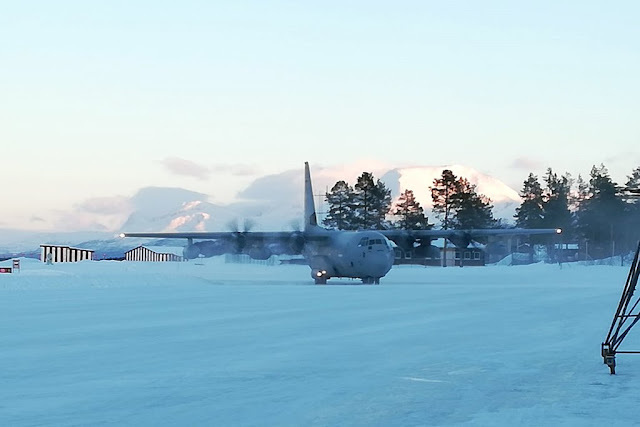 This type of activity allows pilots, on-board operators and maintenance personnel to acquire or maintain the ability to operate in areas characterized by low temperatures and extreme environmental conditions - with ice and snow on runways, taxiways and ramps -. The operational readiness of a Department and an Armed Forces is also assessed with the ability to carry out missions in a "hostile" environment. It means the ability to operate in the presence of threats in international crisis scenarios and in adverse weather conditions, as in this case. The skills acquired thanks to continuous training allow the Italian Air Force Department a wide operational flexibility that is often decisive for achieving the objectives. The Italian Air Force is trained to be ready to operate in every context, national and international, in military or civil missions. Often the operational capabilities acquired in the military context are made available and used also in civil contexts, to offer support to citizens and during serious natural disasters.